Reflecting current practice with a renewed focus on function-based assessments and evidence-based interventions, Cognitive and Perceptual Rehabilitation: Optimizing Function includes all of the tools you need to make a positive impact on your patients' lives. 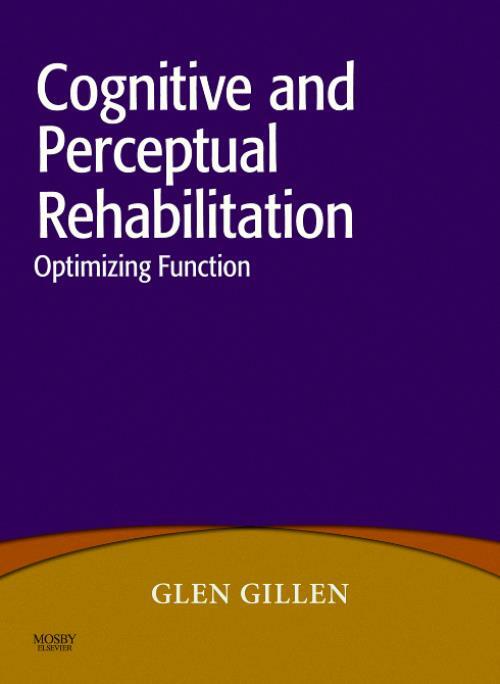 This clinical resource summarizes, highlights, and constructively critiques the state of cognitive and perceptual rehabilitation. This text helps you enhance your patients' quality of life by promoting improved performance of necessary and meaningful activities, and decreasing participation restrictions. Gillen, Glen Associate Director and Associate Professor, Rehabilitation and Regenerative Medicine (Occupational Therapy), Columbia University Medical Center, New York, New York.